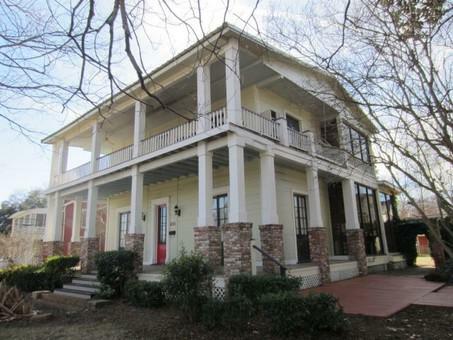 Circa 1850 this historic home is walking distance to downtown with a great view of Cane River! Situated on a corner lot, this home has lots of potential! Zoned R-2 multi family - it has a small efficiency apartment upstairs. Recently was a bed and break fast, at one time a dress shop - and most recently a family home. Call for appointment!